As with all the interviews in the Ordinary Voices project, this interview was conducted via email. Q1. How would you describe yourself politically? Apolitical. I have been very fortunate in my life to see many sides of the arguments. I have seen the way catholic communities were treated by certain members of UDR ( I experienced this first hand) I came from Protestant background so see how unionists view life here but mostly I’ve seen just the senseless manner in which peoples lives were taken, how easily others killed and maimed and how BOTH communities vilified police. Q2. Do you think that legacy issues are damaging the peace process? Yes. It would seem that for many high profile cases it is a case of getting the truth from security forces/state, but where is the truth coming from Republicans? When Gerry Adams can’t even admit being a member of the IRA how can anyone expect the ‘truth’ when everything seems to be so one sided? Q3. Do you think that legacy issues are being handled well? I have mixed feelings on legacy issues. For some victims, it can never bring them justice because the very people who they rely on to give them closure and answers will never actually come out and tell the truth. By these people I mean IRA and the state. Do I think we should just draw a line in the sand and put the legacy issues down to unprecedented times and accept things have changed? Personally I could but I am acutely aware that many many victims cannot do that. Q4. What do you think could be done to help improve community relations and foster reconciliation? Integration of schools is the single most important and successful way of improving community relations. When people start to OPEN their ears and listen rather than being so entrenched that they lose the ability to listen then we may have a chance. Q5. Do you believe there is a bias in regards to legacy issues? Unfortunately yes. As outlined in previous answers, it would seem that security forces would be easy targets for legacy investigations since there were some sort of records kept, it’s much harder for victims of terrorism to get to the truth. Q6. Do you believe that Loyalists, especially within the UPRG and PUP, have done enough to reach out to nationalists and republicans? I think that David Ervine was the greatest loss to the loyalist community. Forward thinking, articulate and repentant of his wrongdoing. It’s the DUP who have done nothing whatsoever to reach out not just to nationalists but also to Protestant community. Q7. Do you think that republicans could do more to reach out to the Loyalist/Unionist community? I think admission of guilt, admission of the wrongs done to so very many people. 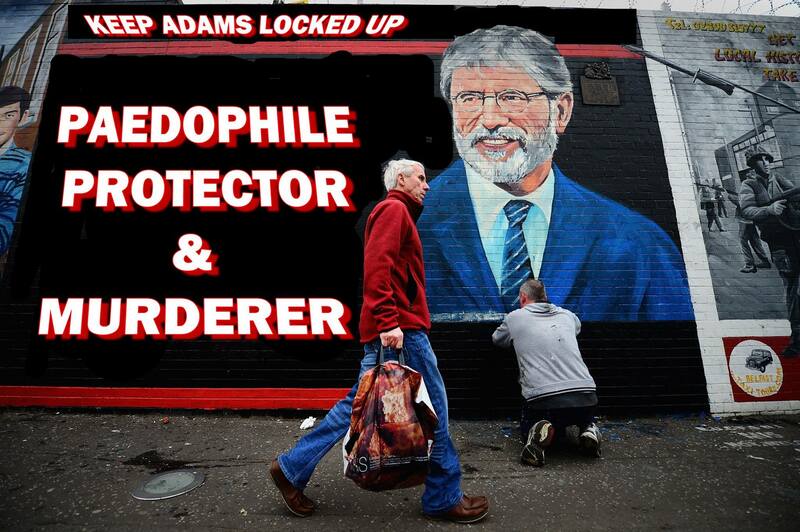 A start would be for Gerry Adams to admit his role as a Republican in a proscribed organisation. Q8. What are your hopes and aspirations for NI in the medium to long term? More integration of education system, more business investment, more emphasis and funding for reconciliation projects. For our politicians to get back to actually earning their wage and for parties to work more closely on co-operation where possible instead of bickering, sniping and denigrating each other. Find the common goals and work harder to achieve those together rather than constantly in opposition. Our thanks to Lez for her participation in the Ordinary Voices project. I had intended that this piece would be an examination of how the political centre, namely the UUP and the SDLP, seem to understand, or at least seek to understand, physical force Loyalism far more, and far better, than the extreme Liberal fringe, epitomised by the Alliance Party and the Green Party. I had intended to clearly demonstrate that the DUP does not, and has never at any time, clearly understood or sought to understand the driving forces which motivate militant Loyalism. However, as I began to think about this piece, I began to realise that it was always going to go in a very different direction. For in the process of considering those themes, I was (reluctantly) forced to re-examine the War which was wasn’t a War, the role of Loyalists within that conflict and, on a more personal level, my own role in it and the pseudo war which has been fought since. A re-examination of my own conscience which has neither been easy nor comfortable but which, on reflection, has been a long time coming. Not that I shall be making public much, if any, of that ‘soul searching’, but I will examine the outlines of the thought processes which were involved in my own introspection. I sincerely hope that this piece will serve some purpose and that, at least, some of those who were most deeply impacted by the ‘Troubles’, both victims and participants alike, will derive something from it, however small. I will begin by stating something which I feel should be obvious to anyone seeking to understand the Ulster conflict; i.e. that within the working class communities of Northern Ireland, on both sides of the divide, violence is not, and was not, viewed as intrinsically evil or immoral. Both communities had men made notorious for being “street toughs”, both communities believed firmly in corporal punishment, and both ‘sides’ very firmly believed in the biblical concept of “an eye for an eye and a tooth for a tooth”, even before the advent of the 2nd ‘Troubles’ in 1969. The idea must seem utterly foreign to the contemporary middle classes. Indeed, it may seem somewhat odd even to the younger members of some working class communities, but it is the fundamental starting point of this analysis. Violence, in one form or another, was part of our lives from a very early age. It is unsurprising then that when NICRA provoked the crises of the late 1960’s, that violent interaction between the two opposing factions would soon follow. The only real surprise was the level of violence which was to follow. It is a truism that violence begets violence but it is worth bearing in mind. Once one rubicon had been crossed, it became easier to cross another and another. No tactic became ‘off limits’, nothing became unjustifiable. The two communities became ever more polarised and ever more entrenched in their respective positions. Good men did bad things and bad men did even worse. It is my personal opinion that some men are indeed “natural born killers”. As far back as Socrates and Plato it was postulated that some men felt driven to kill; that some men subconsciously saw in the act of killing, a sort of natural counterpart to the act of giving birth, which of course men cannot do under any circumstances. This theory of “birthing envy” is an intriguing one and one which is deserving of far more attention. For every born killer however there are many, many more who are driven to kill. Driven to kill by rage, by circumstances, by a need for revenge, or, as incredible as it may seem, by fear. It is these men, those driven to kill, that constitute the vast majority of the killers, the gunmen and the bombers, of the Ulster conflict, and it is these men (and women) who would go on to perpetuate the violence, not for their own gain, not for their own twisted pleasure or some sense of divine purpose, but for reasons which will seem utterly alien and incomprehensible to those detached from the War, by distance, by time or by virtue of social class. I recognise, as I have always recognised, that there were those on both sides who were not motivated by soaring rhetoric, or by idealism, but were driven instead by their own psychosis. By a deep seated, guttural and irrational hatred which moved such people to commit the most heinous and barbaric atrocities. Things indefensible and unconscionable. What, in the process of my own individual reflection, I am forced to acknowledge now, perhaps for the first time, is that there were men and women “amongst the ranks of the enemy” who were people of integrity and of undoubted courage. Such people, whom in my opinion were motivated by an acutely skewed reading of history and who had scant regard for democracy, were nevertheless, decent people with real concerns, real grievances and genuine aspirations, however far those aspirations were from my own. It is an undeniable truth of history that a war between two nations, separated by great distance, or even between two neighbouring states, is invariably less bitter, less savage and less brutal than a war between two peoples who share the same piece of territory. When one also factors in the long and complex history of Ulster, then it is unsurprising that the ‘Troubles’ turned out to be one of the most dirty wars ever fought in Europe. It is also unsurprising that we have become prisoners of history. Prisoners of our own times. We will never be set free. For us, every generation born into the conflict, it is already too late. Our lives have been irrevocably altered by the war we were born into. The ‘Troubles’ are a millstone around our necks from which we will never be unfettered. We deserve sympathy that we will never receive. We deserve a respite which will never come. However, we can, and must, tell our story. We have a burden of responsibility to the younger generations to ensure that we never again slide headlong into a situation in which ordinary people are forced to become killers, ‘intelligence officers’, bomb makers, gun runners and ‘spotters’. I genuinely fear that we will not be up to the task. There is too much malice, too much distrust and animosity on both sides. If the generation that fought the Second World War are remembered as “the greatest generation”, then perhaps those 3 generations or so who fought the ‘Dirty War’, might well be remembered as the worst generations. One generation who began a war they could not possibly win (and that applies to both sides), one generation who continued that war because they had no idea how to stop it, and one generation who continued it because they could not imagine life any other way. We should nevertheless tell our stories. Although it would be infinitely more helpful if we, ‘the worst generations’, were to explain to our young people that we were motivated far more by what we thought was going on, rather than perhaps what was really happening. Suspending, as it were, the historical narrative as we understand it and instead relaying the personal narrative. In the immediate aftermath of the 1994 CLMC ceasefire, militant Loyalism underwent a period of deep introspection. Such a period of introspection is once again required, and this time Irish republicans must include themselves, if indeed there is any real desire from that quarter for real reconciliation (which I, personally, very much doubt). Those who participated in the Conflict must also free themselves from the constraints of moral recrimination; that is, we must abandon objective moralism and, taking into account the circumstances of the times, must not be afraid to see ourselves as sometimes having been the villians, those who were clearly in the wrong, if only on certain occasions or in certain situations. Unlike Irish republicanism, Loyalism does not need to portray itself as whiter than white. True patriotism is not tarnished by the occasional uncomfortable truth. We are, along with every other Briton, the inheritors of the legacy of the British Empire. We recognise the moral ambivalence of that situation. That is perhaps why Loyalists have no fear of a critical analysis of the past and of their role therein. What Northern Ireland needs now is for republicans to engage in the same kind of soul searching. To admit the immorality of at least some of their actions and, furthermore, to admit freely that the motivation for many of their actions was, at the very, very least questionable. What we also need is for the ‘3rd party’, the extreme Liberal fringe, to end their illegitimate occupation of the moral high ground and recognise, if they are capable of doing so, that there are those in Ulster who do not share their pacifistic and utopian ideals. In particular I would appeal to the members and supporters of the Alliance Party, Green Party etc to stop the politics of wishful thinking and to acknowledge the very real and very deep divisions within NI society. To stop the utterly ineffectual lecturing of the working class Loyalist community, especially in Belfast. As I, and others within Loyalism, have stated repeatedly since 1998, peace and reconciliation cannot be imposed from the top down but must instead be built from the ground up. Indeed, my own opposition to the ‘Good Friday Agreement’ stemmed primarily from my view that the Belfast Agreement was the very epitome of a ‘top down’ peace. Something that we, all the people of Northern Ireland, have a chance, however slim, to change. Such change is however very unlikely unless or until all parties to the Conflict have the courage to admit our own past failings, recognise our common humanity (which applies even to those who have committed violent acts), fully recognise the intolerable hurt of innocent victims and resolve to never again allow our communities to be held to ransom by our inescapable past. In short, any real and just peace can only be achieved once we, the very people who, one way or another, created the Conflict, have all admitted that we are prisoners of conscience and that that is what we will always be. On the 20th of January, 1973, Dublin was once again hit by a Loyalist bomb. Bus conductor Thomas Douglas (25) was killed and 17 people injured when a car bomb exploded in Sackville Place, off O’Connell Street. The car used in the bombing had been hijacked earlier at Agnes Street, Belfast. 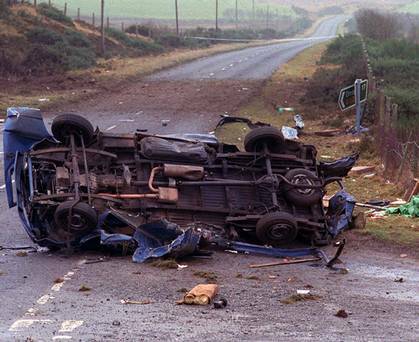 No group claimed responsibility for the attack but it was most likely the work of the Ulster Volunteer Force, who throughout 1973, would match the Provisional IRA almost bomb for bomb. After the January bomb attack there was something of a lull in offensive operations against targets in the Irish Republic, as both the UFF and UVF concentrated on targets within Northern Ireland. On the 17th of March, the North Antrim & L’derry Brigade of the UDA/UFF lost a courageous and dedicated young NCO, Sergeant Lindsay Mooney, who was only 19 years old. Sgt. Mooney, of ‘A’ company, 1st Battalion, was killed when the IED he was taking to its target exploded prematurely, outside ‘Kirk’s Bar’, at Cloughfinn, near Lifford in Co.Donegal. Mural dedicated to the memory of Sergeant Lindsay Mooney- 1st Btn, A coy. On the 28th of September, 1973, a UFF Active Service Unit from the Border Counties Brigade (which comprised battalions from Armagh, Fermanagh, South & West Tyrone), detonated a car bomb in the centre of Pettigo, Co.Donegal. Thirteen people were wounded. This would be the last bomb attack carried out against a target in Éire by the Ulster Freedom Fighters for some time. Despite some minor sabotage operations, including the destruction of two stone bridges in Co.Monaghan in late ’73, the placing of some small incendiary type devices etc, the Ulster Freedom Fighters concentrated on operations within Northern Ireland for most of 1973-74. The UWC strike, which had brought down the hated ‘Sunningdale Agreement’, had consumed much time and energy and the UDA/UFF had also been busy in other areas. Significant time and resources had been put into the establishment of small arms factories, often in garages and workshops in rural Ulster, producing home-made sub-machine guns, pistols and ammunition. On the 29th of November, 1975, Dublin Airport was rocked by an explosion. A bomb exploded in the public toilets in the arrivals terminal. The explosion killed Aer Lingus employee, John Hayes (38), and injured nine others (some reports put the number of wounded at 12). The device was hidden in a toilet tissue dispenser and went off after Hayes washed his hands and was about to leave. The blast ripped through a wall into the public bar. The airport was evacuated and a second, larger device, was discovered and made safe. “We are striking back against the Irish Republic in retaliation for the murders of members of the security forces by the Provisional IRA, operating unhindered from the safe-haven of the Irish Republic with the blessing of the Dublin government“. Further evidence that the attack was intended to damage the Irish tourist industry came on the 20th of February, 1976, when a 40 lbs. 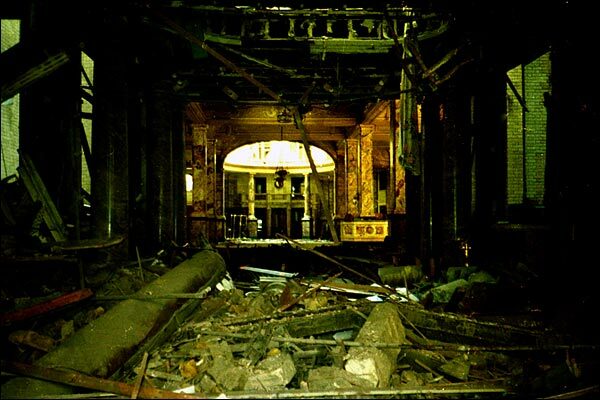 bomb exploded inside the ‘Shelbourne Hotel’ in Dublin causing extensive damage. No fewer than eight incendiary bombs also exploded in department stores and shops in the Grafton Street and Henry Street areas. On the 3rd of July, 1976, the UFF detonated bombs at four hotels across the Irish Republic. There were explosions in Dublin, Limerick, Rosslare, Co.Wexford and Killarney, Co.Kerry. Adequate warnings were given in all cases and there were no fatalities or serious injuries, although substantial damage was caused. Five days later another UFF bomb exploded at the rear of the ‘Salthill Hotel’, Salthill, Co.Galway. Again there were no fatalities. Towards the end of 1976 the leadership of the Ulster Freedom Fighters decided to call a halt to offensive operations in Éire. 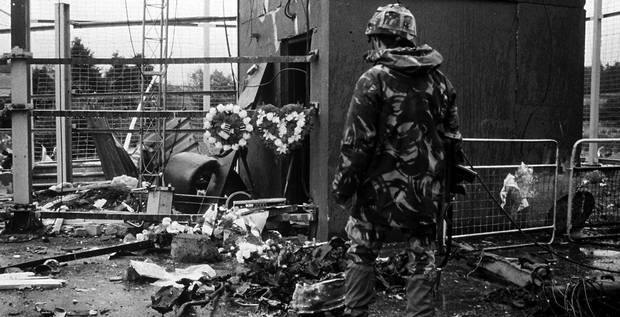 Although the situation in Northern Ireland was still critical, it was decided that further attacks against targets south of the border may be counter-productive, at least for the time being. As it transpired, the “bomber holiday” would last a few years. With increased security on the border and a growing realisation that bomb attacks in Éire which caused civilian casualties did nothing to enhance the Loyalist cause, and with increasing success by the Security Forces in combating Irish republican violence within Northern Ireland itself, “bombs across the border” were no longer part of UDA/UFF strategic planning. With the exception of a handful of, largely symbolic attacks, against the offices of ‘An Phoblacht‘ in 1981, and against economic targets in the Irish Republic in the wake of the signing of the ‘Anglo-Irish Agreement‘ in 1986-87 for example, the Ulster Freedom Fighters did not mount any kind of sustained bombing offensive against targets in Éire until the 1990’s. With the UFF resurgent in Northern Ireland (benefiting as it did from the removal of certain senior figures in the late 1980’s), it was only a matter of time before economic and strategic warfare against the Irish Republic resumed. In February, 1991, two incendiary devices were left in a Dublin department store but failed to detonate. On the 10th of March, 1991, an incendiary device partially exploded in a clothing store in Dundalk, Co.Louth, but it caused only minimal damage. On the 25th of May, 1991, a UFF Active Service Unit assassinated PIRA/SF supremo Eddie Fullerton at his home in Co.Donegal. The UFF unit crossed Lough Foyle in a collapsible dinghy before making their way to Fullerton’s home in Buncrana. The UFF said that they killed Fullerton, a Sinn Féin councillor and also (allegedly) the former O/C of the Provisional IRA in Donegal, because of his involvement in the murder of a Co.Tyrone man, who had been shot dead by a Provo murder gang near the Tyrone/Donegal border earlier in the year. During the night of the 27th/28th of July, 1991, seven UFF incendiary bombs exploded in shops across Dublin, causing significant damage. Three days later a further three firebombs exploded in premises in Letterkenny, Co.Donegal. At the beginning of 1992, a number of letter bombs were intercepted at mail sorting offices in the Irish Republic. Most of the devices were inside hollowed out books and addressed to PIRA/Sinn Féin activists living in counties Dublin, Monaghan and Louth. On the 29th of March a Dublin shop was extensively damaged by an incendiary device. The UFF later claimed responsibility for the attack. In the run up to Christmas, 1992, the UFF carried out eight firebomb attacks against commercial targets- four in Dublin and two each in Moville and Buncrana, Co.Donegal- over a 48 hour period, causing significant damage. On the 20th of December Gardai confirmed that a “powerful incendiary device” started a fire in city centre store. It’s believed the UFF were responsible. On the 18th of September, 1993, On the day of the “All-Ireland hurling final”, the Ulster Freedom Fighters claim responsibility for planting a bomb outside Store Street Garda station, Dublin. The Garda station’s phone lines were also cut during the attack. On Christmas eve, 24th of December, 1993, incendiary type devices were found at a school in Dundalk Co. Louth and at a postal sorting office in Dublin. The devices had not detonated. On the 24th of January, 1994, five more UFF incendiary devices were discovered in Dublin and in Co.Cavan. On the 8th of June, in what would prove to be the last UDA/UFF bomb attack in Éire before the CLMC ceasefire, a small incendiary device exploded at a snooker hall in Trim, Co.Meath, causing only superficial damage. It is almost impossible to gauge how much the UDA/UFF bombing campaign against economic and strategic targets in Éire effected public opinion in that country, or impacted government policy. Unquestionably it was Loyalist bombs that forced the Irish government in 1972 to pass draconian anti-terror legislation and distance themselves from the Provo murder gangs that they, the Irish state, had helped to create, fund and arm. Later on in the mid 1970’s, it was Loyalist bombs that forced the Dublin government to tighten up security on their side of the border, consequently making it somewhat more difficult for Irish nationalist terrorists to transport arms, explosives and personnel into Northern Ireland from their logistical bases in the Republic. For those reasons alone the UDA/UFF bombing campaign in Éire, and the equally effective (although more deadly in terms of civilian casualties) campaign of the Ulster Volunteer Force, must be regarded as a strategic and militarily successful one. Whilst the Ulster Defence Association and later the Ulster Freedom Fighters did their utmost to minimise “collateral damage”, i.e. 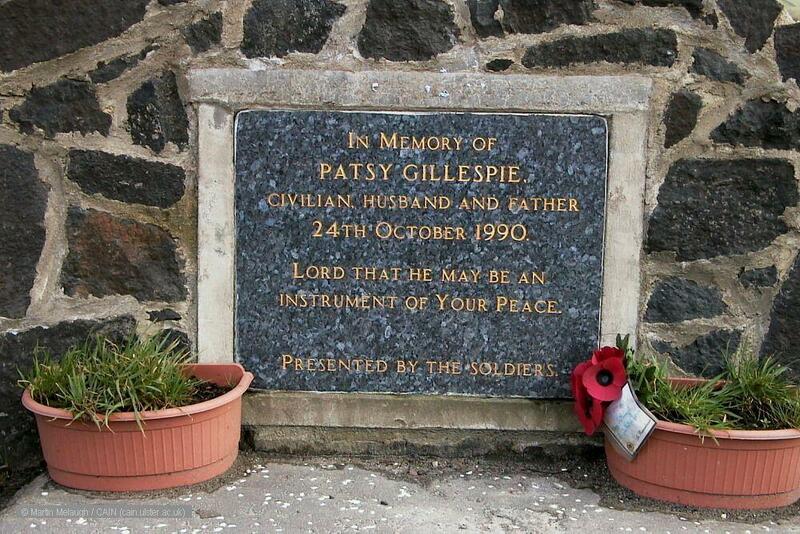 civilian fatalities, it must be remembered that Irish civilians did die as a direct result. That is regrettable. It was right and correct therefore that the CLMC ceasefire pronouncement of 1994 offered “abject and true remorse” for any such civilian deaths. Although formed as a defensive organisation, shortly after its formation the leadership of the Ulster Defence Association came to the realisation that certain pro-active operations would have to be undertaken in order to preserve the existence of Northern Ireland and ensure the safety of the Loyalist and wider Unionist community. The UDA Inner Council (the collective leadership of the organisation) recognised the fact that Irish republican extremists, primarily the breakaway PIRA, were recieving significant aid and material support from the Irish Republic. With the “Arms Crisis” of 1970 proving that the Dublin government had armed, funded and, at least partially, organised the nascent Provisional IRA, the UDA leadership made the decision to designate the Irish state, and the organs thereof, as “Enemies of Ulster“, thus making them legitimate targets. Plans were put in place, as early as the summer of 1971, to undertake offensive operations against Éire, concentrating on certain symbolic, strategic and economic targets, although no such operations were attempted until the autumn of 1972. On the night of the 28/29th of October, a bomb containing approximately 12 lbs of commercial explosives was discovered at Connolly Station, Dublin. The device was defused by Irish Army technical officers. Incendiary devices were also left at four Dublin hotels. These attacks were however, just the beginning of what would turn out to be an effective offensive. On the evening of the 2nd of November, 1972, The UDA’s Londonderry & North Antrim Brigade (then known as the “Londonderry Command” or “North-West Command”) bombed the ‘Hole In The Wall’ pub, near St. Johnston, Co.Donegal. Armed volunteers from ‘A’ Company, 1st Battalion, ordered everyone out of the premises, before detonating a hand grenade and a large blast-bomb type device inside the pub, causing extensive damage. Just over a fortnight later, on the 19th of November, the Londonderry & North Antrim brigade struck another target in Co.Donegal. On this occasion a car showroom, owned by a prominent republican, was targeted with a bomb containing 7 and a half pounds of explosive. The device exploded causing substantial damage. At approximately 1:15am on Sunday, 26th of November, 1972, an “unusually large” bomb exploded outside the rear exit door of the ‘Film Centre‘ Cinema, Burgh Quay, Dublin during a late night showing of a film. The bomb went off in the laneway connecting Burgh Quay with Leinster Market injuring 40 people, around 20 of them seriously, including facial, leg and serious abdominal wounds. There were approximately 160 people (both patrons and staff) inside the cinema at the time of the blast and a Garda spokesman said that it had been “nothing short of a miracle” that there had been no fatalities. The force of the explosion had hurled customers out of their seats and onto the floor and one employee had been blown the full length of the central aisle. A large number of shops and buildings in the immediate vicinity received extensive damage from the blast. The area was quickly sealed off by the Garda and they immediately launched a forsenic investigation 9f the scene. A ballistic officer determined that the epicentre of the explosion had been just outside an emergency door leading from the cinema to the laneway. However, due to the ferocity of the blast and the total combustion of the explosive material, no trace of the bomb or the explosives used were ever found. Garda detectives at the time suspected the bombing to be the work of republican “subversive elements”, soon after however, Gardai discounted republican involvement and intimated that they now believed the bomb attack to have been the work of Loyalists, most likely a UDA active service unit “from the Derry or Mid-Ulster areas“. On the 1st of December, 1972, shortly before 8pm, a large bomb, concealed inside the boot of a blue Hillman Avenger car, exploded at 29 Eden Quay, Dublin. The blast blew the Avenger apart and what remained of the vehicle was catapulted 18 feet away, coming to rest outside an optician’s office. Six cars parked in the vicinity of the Avenger were set on fire, and piled on top of each other. Every window of the nearby ‘Liberty Hall‘ and a number of other nearby buildings were shattered. Although a number of people suffered injuries – some horrific – nobody was killed. At the same time the car-bomb detonated in Dublin, the Belfast Newsletter received a telephone call from a man warning that two bombs had been left in cental Dublin and would explode imminently, giving the locations of the bombs as Liberty Hall and Abbey Street. Staff at the newspaper immediately phoned the RUC who in turn relayed the warnings to the Garda Control Room, Dublin, at just before 8:10pm. A team of Gardai were immediately dispatched to investigate the area. As well as the two bus-men who were killed over 130 people were injured in the two incidents. Around 50 of them seriously. As at Eden Quay, the Sackville Place bombing caused considerable damage to buildings and vehicles near the blast’s epicentre. Sackville Place being a narrow street off O’Connell Street, Dublin’s main thoroughfare. The bombs however did not just cause death and destruction; they also literally blasted into law controversial new measures. Just as the bombs were exploding in the city centre, Dáil Éireann was debating the controversial bill to amend the ‘Offences Against the State Act’, which would enact stricter measures against the Provisional IRA and other republican murder gangs. As a result of the two bomb attacks, the Dáil voted for the amendment which introduced special emergency powers. In particular this meant that a member of a terrorist group could be sentenced on the sworn evidence of a senior Garda officer in front of three judges. Before the bombings, many commentators had believed the bill – considered by some to be “draconian” – would be soundly defeated. Indeed, until it was interrupted by the sound of Loyalist bombs exploding, the debate in the Dáil had been a bitter and heated one. Neil Blaney, recently expelled from Fianna Fáil due to his part in the “Arms Crisis”, spoke out forcefully against the proposed measures, describing the Provos as “freedom fighters“. In turn, supporters of the new legislation described the Fianna Fáil government as having “blood on their hands”, whilst Edward Collins TD castigated them as “the godfathers of the Provisional IRA“. At the last minute, undoubtedly swayed by the sound of bombs just a short distance away, Fine Gael TD’s abstained, thus ensuring that the bill would pass. Militant Ulster Loyalists had forced the hand of the Irish government in an unprecedented manor, forcing the authorities in Éire to take active steps against Irish republican terrorists for the first time in the conflict. Although the violent deaths of two civilians is deeply regrettable, the 1st of December bomb attacks had been spectacularly successful. Timed to precision and ruthlessly carried out, the bomb blitz in the heart of Dublin had demonstrated to the Irish state, in brutal fashion, that they would have to take action against the very terrorist groups that they had helped to create just two years earlier, or face the consequences! Although there is speculation about whether the 1st of December attacks were the work of the UDA or the Ulster Volunteer Force, such speculation is more or less meaningless. Physical force Loyalism had, once again, penetrated into the heart of the Irish capital to devastating, and deadly effect. Forcing the hand of the Irish government and denying Irish republican murder gangs free reign in that country, although Éire would continue to be both a safe haven and a base of operations for republican terror groups throughout the conflict in Ulster.